Decided to delve back into my largely untouched library of photos I shot on my trip to London and environs in May'08. 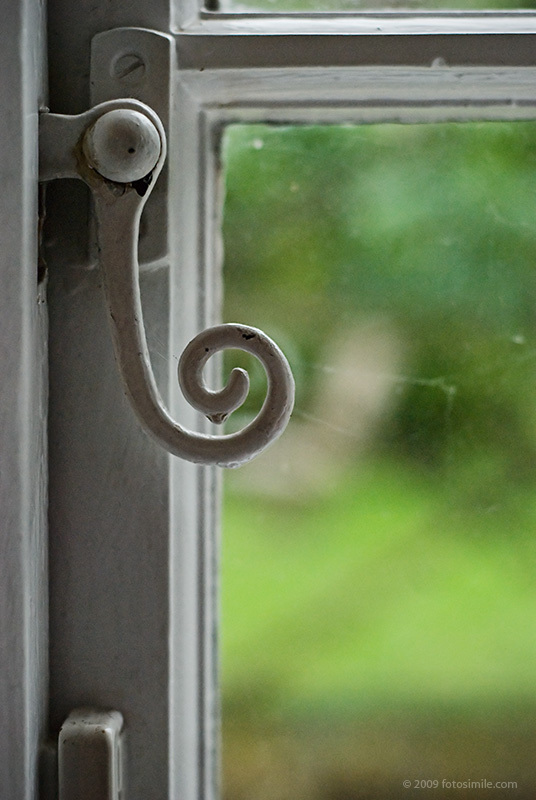 This window latch was taken on a day trip to Oxford to visit the "The Kilns," the former home of renowned author and Christian apologist, C.S. Lewis. The home is now run by the C.S. Lewis Foundation as both a residence and study center, and is available for tours by appointment. If you've read any of Lewis' writings, especially his ever-popular Chronicles of Narnia series, you would enjoy visiting where many of those stories began. And yes, there was a wardrobe in the hallway.